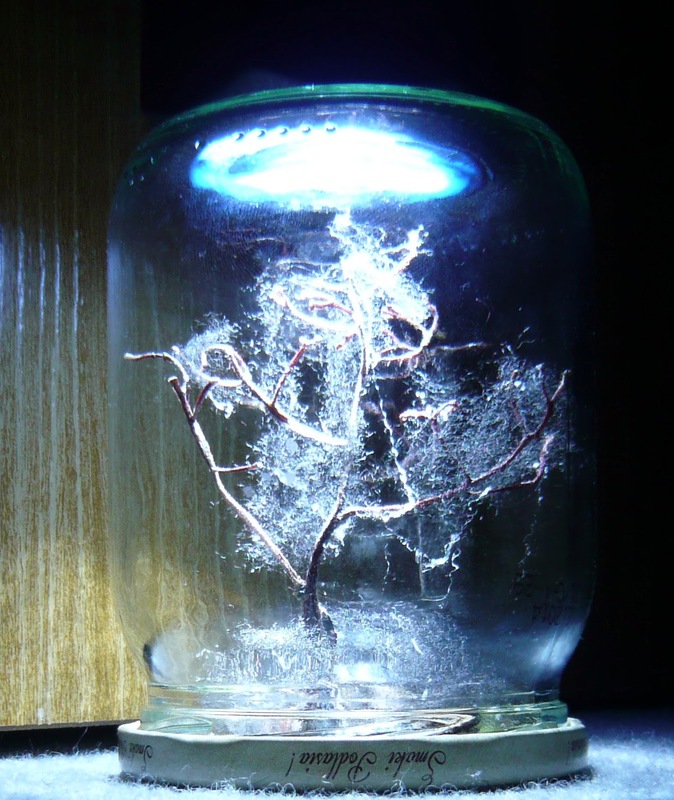 Glowing in the dark, creepy, halloween tree – DIY mason jar craft. 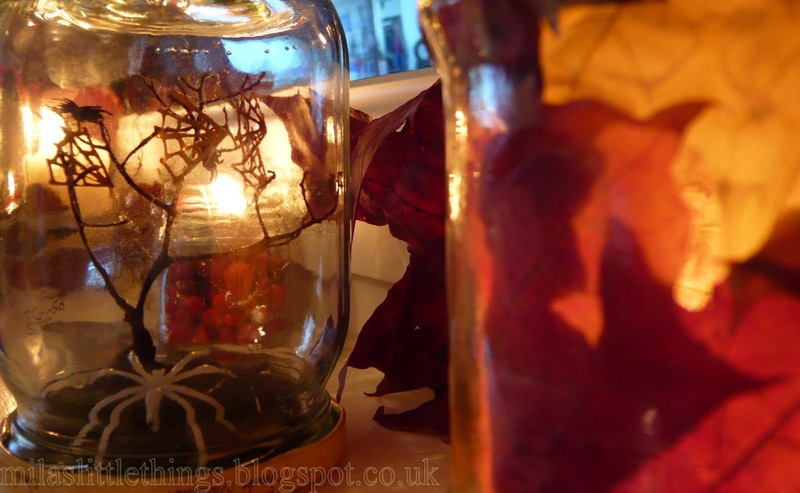 It’s halloween jar crafts time! 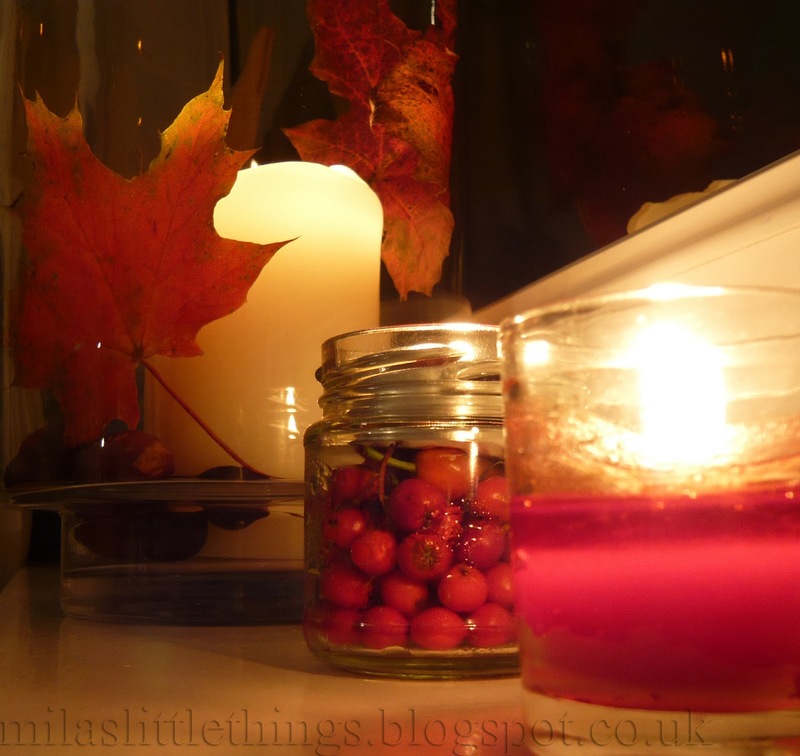 * Cut off fruits( I’ve used those lovely, autumn fruits; small, recycled glass container and tea light to make a cute candle; look at the pic at the bottom of this page). 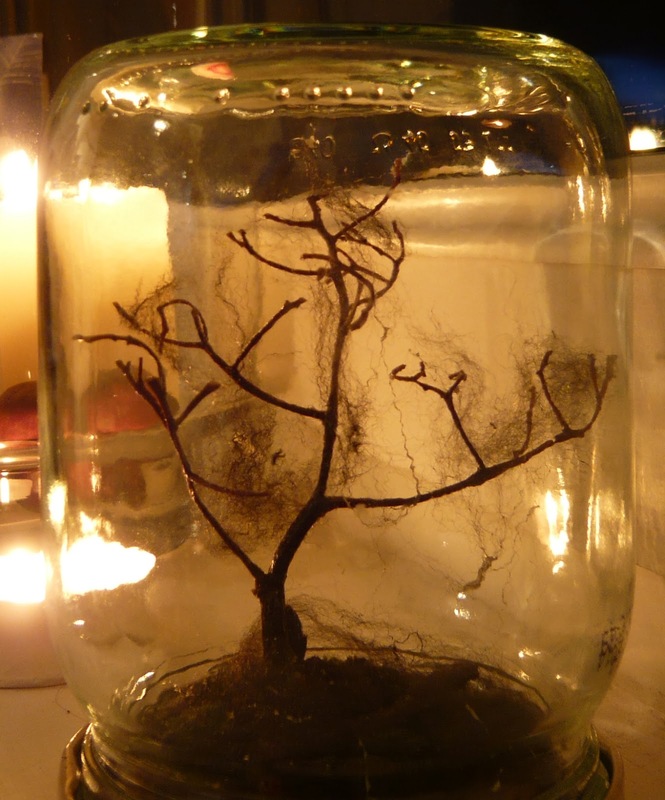 * You can paint “branches” of your “tree” now or wait till its glued to the jar’s lid. Either way, remember to let it dry properly. 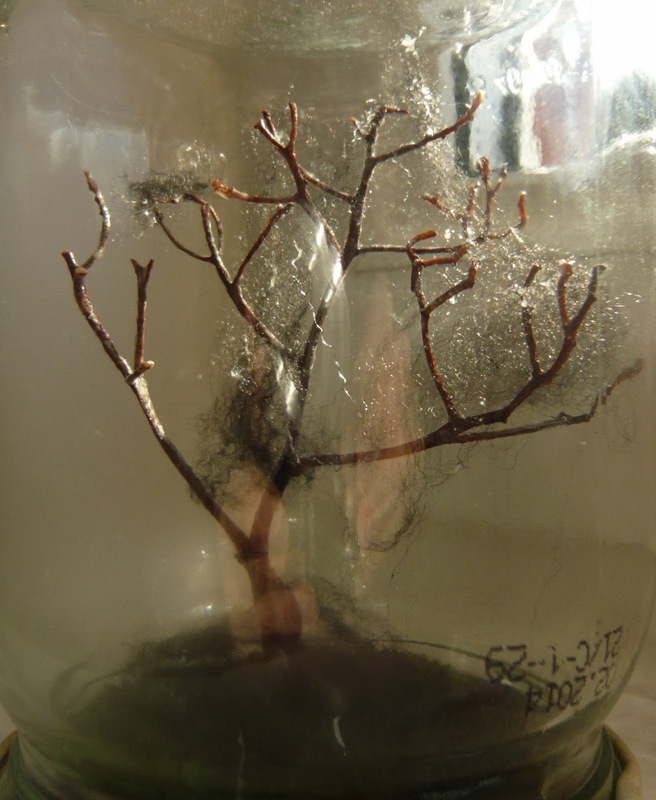 * Spread glue evenly across jar’s lid. 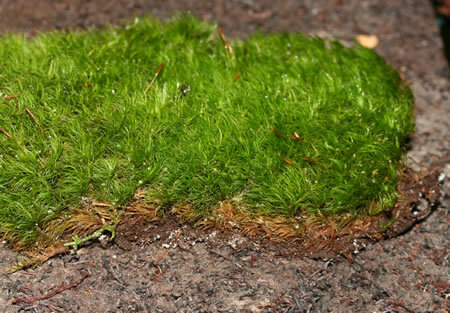 Glue moss pieces and bark chippings to the lid, leave small space for your “tree” (exactly in the middle), leave around 1 cm free space close to edge of the lid ( it could be less, depending on a jar size; just make sure you will be able to screw lid to the jar without any problems). 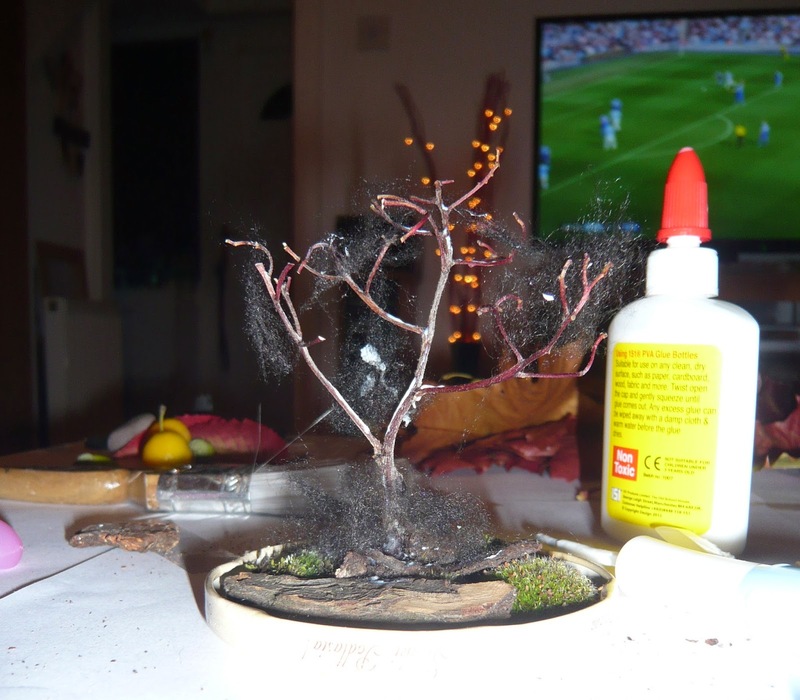 * Carefuly glue your tree to the lid. 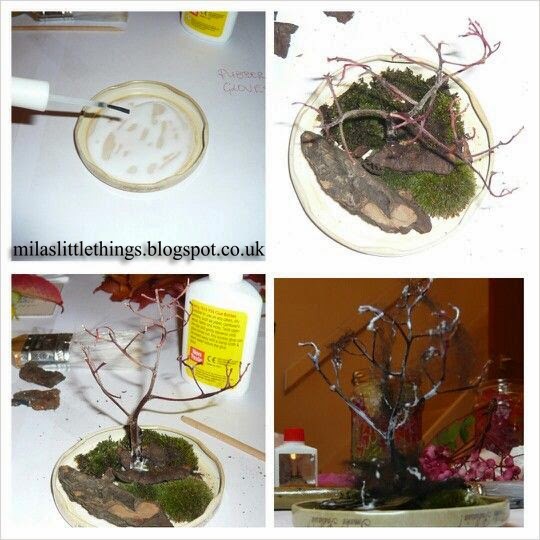 You can glue bottom part of the tree and moss pieces together to make it steadier. 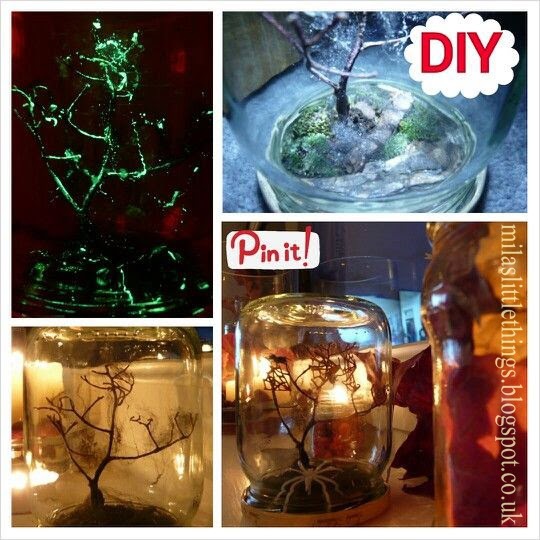 Now you can paint branches with glow in the dark paint. If you already did it, you can… paint it some more 😉 Let it all dry for around 10 minutes. * Let it dry for around 1 hr. * Now you can very gently screw the lid to the jar. Remember to loosen/open the lid once in a while to let the air in. 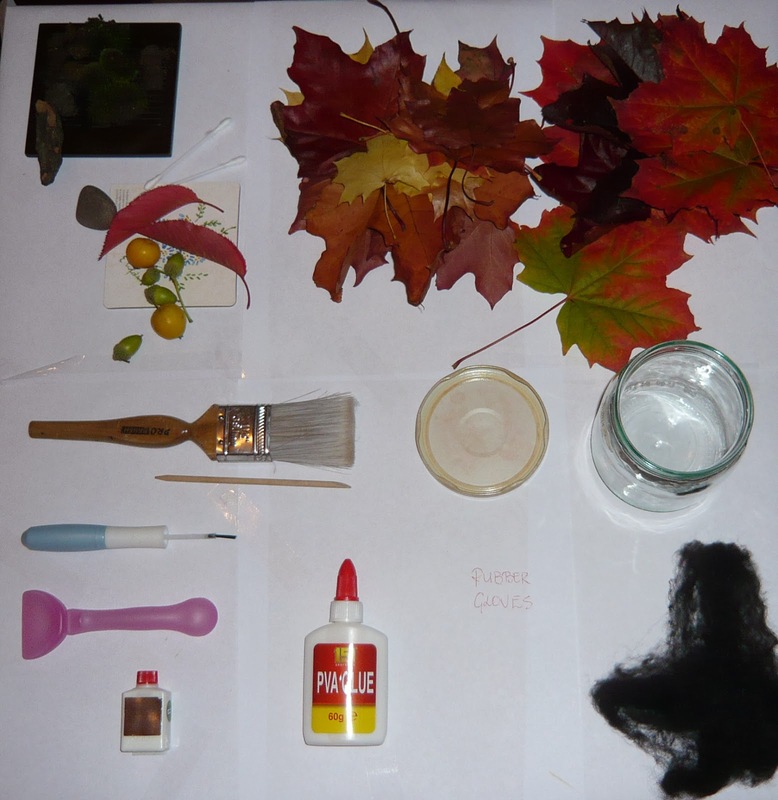 * Flash your flashlight directly at the jar, let the paint catch as much light as possible! 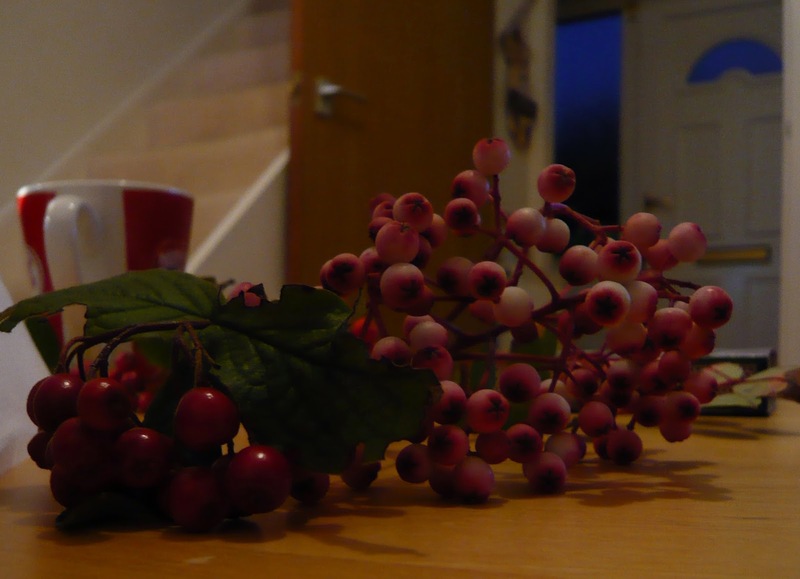 It will glow more at night.